To look at the origin of St David’s Day and its symbols, and at some of the stories about St David, the patron saint of Wales. Ask the children what the leek and the daffodil have in common. Hopefully, someone will connect them as the national emblems of Wales. 1 March is traditionally known as St David’s Day. St David is the patron saint of Wales. But who was he and why are the daffodil and the leek associated with St David’s Day?! Very little is known for certain about St David. He was born round about AD 500 and tradition says that he lived to the age of about 100 – extremely old in those days! It is recorded that he was conceived by his mother after a violent encounter with a man and that eventually he was born on top of a cliff during a storm! He was a monk and a bishop, and became well known as a preacher and teacher, wandering round Wales telling people about Christianity, devoting himself to helping people and setting up monasteries. It is said that he was the leader of a revival of the Christian faith in Wales during the sixth century. He is occasionally recorded as performing miracles. His most famous miracle took place when he was speaking to a large crowd and the people at the back complained that they couldn’t see or hear him. According to the story, the ground on which he stood suddenly rose up to form a small hill so that everyone now had a good view! On his death bed, St David uttered the words, ‘Do the little things that you have seen me do and heard about.’ These words are often repeated in Wales on St David’s Day. On St David’s Day people in Wales, and Welsh people all over the world, wear a leek or a daffodil. Shakespeare refers to Welshmen wearing leeks on St David’s Day and calls it ‘an ancient tradition’, but the origins of this tradition are obscure. 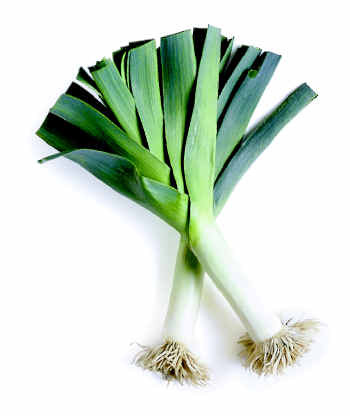 One suggestion is that the leek became the symbol for Wales following a battle between the Welsh and Saxon (English) armies in the sixth century, which, it is said, took place in a field full of leeks. The Welsh army were told by St David to place a leek in their helmets to distinguish themselves from the Saxon enemy. In recent times the daffodil has gained in popularity as the Welsh emblem, probably because people feel more comfortable wearing it and it smells rather better! Another reason may be that in Welsh they both have the same name: the leek is called cenhinen and the daffodil is known as cenhinen bedr, which, when translated, is ‘Peter’s leek’. Sometimes we can become so caught up in the ‘big things’ in life – exams, careers, money – that we forget about doing the ‘little things’. Are there little things that you should be doing – caring for someone, making up a broken friendship, saying sorry, being kind, encouraging someone. It is often the ‘little thing’ we do in life that can make the biggest difference. to do something little that can make a huge difference to somebody else.